Which devices provide the best value to your population? The necessities of supply chain – procurement, contract negotiation, logistics, capacity planning – are distant from the work of population health, the work that is concerned with the health of communities, focused on the social determinants of health. At least that’s the common perception. We disagree. The supply chain should serve as the analytics backbone for enterprise health systems, neutral ground linking data on the patient, the procedure and the device/pharmaceutical. The supply chain of the future will incorporate multidimensional data on the patient, the encounter and the provider. This data will inform decisions on which devices deliver value for which patient phenotypes. Patients are different. Providers are different. Decisions on device type should be informed by how these differences can lead to differences in outcome. Patients should not be reduced to a few dimensions, nor should cost be measured only in terms of device cost. Define the total cost of care and bring sophisticated machine learning to the data to move beyond correlation and understand causal links between device, patient and care. Cosma is a product for the supply chain of the future. Cosma can help administrators, patients and clinicians determine the device and the associated care bundle that leads to optimal outcomes – and delivers value – for specific sets of patients. 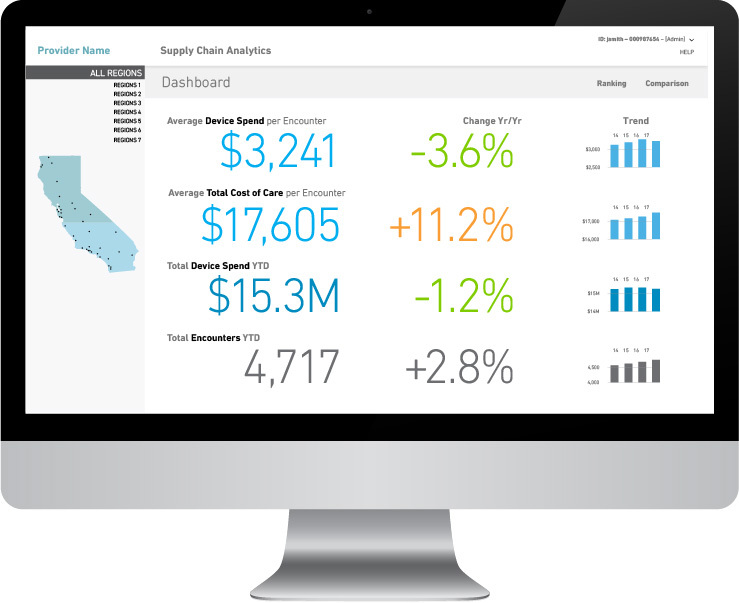 Supply chain leaders can use Cosma insight to best capitalize on alternative reimbursement models and to streamline purchasing to drive value for the populations in their care.